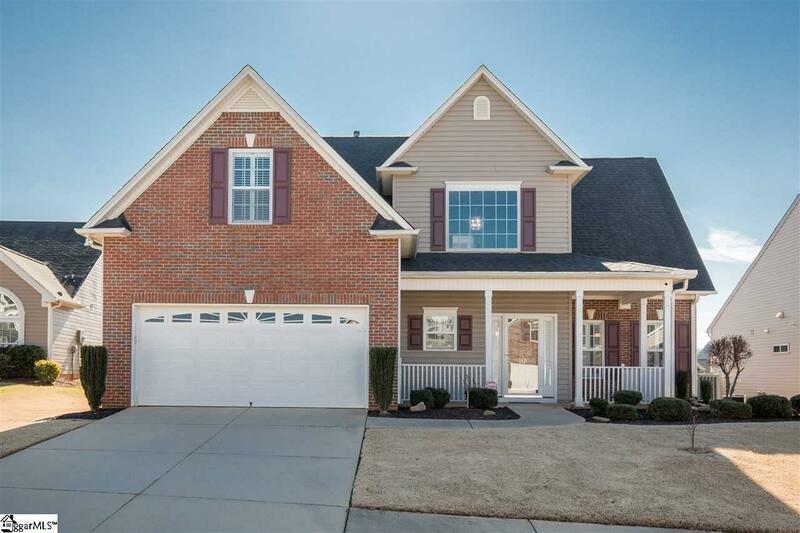 Meticulously maintained 4 bd 2.5 bath plus a bonus room (that could be a 5th bedroom) in a quiet cul-de-sac in Twin Creeks subdivision in the desirable Five Forks area! This home is immaculate and has a fantastic open floor plan with an added sunroom for extra living space. This home was built with many upgrades including: brick front exterior, sunroom, hardwoods throughout main level living areas, ceramic tile in bathrooms and laundry room, plantation shutters, surround sound in bonus room, full yard irrigation system. Kitchen features silestone countertops, gas range, upgraded kitchen cabinets, new stainless steel appliances, new faucet (2017) & 2 pantries. New roof 2018. Master has like-new carpet, tray ceiling & master bathroom shower and faucets renovated 2017. Whole house neutrally painted 2017. Water Heater 2017. New garage door opener 2018. Tons of storage space throughout this home including large closets and a big storage room in the upstairs. Neighborhood features pool, playground, basketball court & trail. Listing provided courtesy of Maggie Aiken of Bhhs C Dan Joyner - N. Pleas.